Less than two months following the Brexit vote, the United Kingdom (UK) is a very different place, both politically and economically. The consequences of the non binding June 23 vote known as Brexit, on whether the country should remain in the European Union have been dramatic. Referendum results were unexpected to many observers, with 51.9% of the electorate voting for a withdrawal and 48.1% wanting to stay. 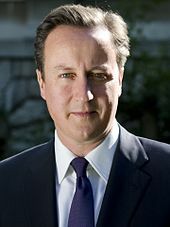 Prime Minister David Cameron who opposed separation from the European Union (EU) intended to stay in office until October, following the adverse vote. He would announce his resignation after six years the following day and would already be replaced by Home Secretary Theresa May in July. It was just the beginning of the political housekeeping, that would soon take place in Parliament. In his 2015 election campaign, David Cameron promised to renegotiate the EU membership and later hold a referendum. 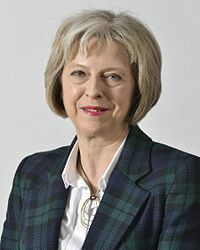 Prime Minister Theresa May was quick to solidify her own tenure, by changing the heads of the major cabinet positions. Nigel Farage the leader of the UK Independence Party (UKIP) which had led the campaign for a withdrawal from the EU, would tender his resignation on July 4th. In the 2015 election, UKIP garnered the 3rd highest voting share and had finally captured one seat in the House of Commons. 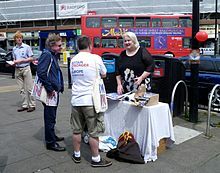 The party has three votes in the House of Lords and most telling, 22 seats in the European Parliament. It comprises the largest delegation from the United Kingdom. The UKIP makes it biggest contribution at the local level, with 488 councillors and seven members in the National Assembly for Wales. These strides were made while campaigning for a United Kingdom, that would no longer be shackled to the rules and regulations promulgated by the European Commission. Labour head Jeremy Corbyn a tepid supporter of the Remain Campaign, is facing calls within his own party to resign, in the face of the referendum results. He has led Labour since the 2015 election, but party members insist his lack of effort in galvanizing additional public support in keeping the United Kingdom in the European Union, has disqualified him to serve as their leader. 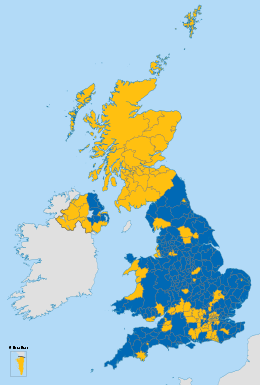 Blue represents the majority of Leave voters, Gold are the Remain voters. Owen Smith, a challenger to the Labour Party leadership position, insists that the British people should have another opportunity to decide the future of the country. According to Mr. Smith, there needs to be one additional vote on the issue. He believes the timing of the next Brexit referendum should occur, once the public has an opportunity to be aware of the results of the government negotiations concerning trade. Meanwhile, Mr. Corbyn has already publicly stated he does not support a second vote on Brexit. In his mind, the people have spoken and their decision should be respected. Among the conservative Tory party, there are quite a few ministers in Parliament that blame the loss in the Brexit vote on the former Prime Minister David Cameron. In their opinion, he seemed unwilling to go on the attack against fellow party members, who favored a British exit from the European Union. The former Liberal Democrat leader Nick Clegg has publicly stated that in the run up to the 2015 election, Cameron had refused to consider advice that the Brexit referendum was politically risky. As the Deputy Prime Minister at the time, Clegg felt Cameron was far too optimistic that the vote to stay in the EU would go his way. A disturbing aspect of the Brexit vote is the position of the majority of the electorate in Scotland. The remain camp won a decisive victory in this part of the UK. Former First Minister and SNP (Scottish National Party) leader Alex Salmond has stated the two year period of negotiations to prepare for separation, actually sets the time line for a new referendum on Scottish independence. Nicola Sturgeon (in blue) meets with members of the European Parliament to discuss Scotland’s future relation with the European Union following the leave vote. The previous vote on the issue of independence for Scotland had taken place in 2014. At that time, only 45% of the electorate was in favor of a political divorce from the United Kingdom. In a recent poll, the percentage of the populace now favoring an independent Scotland has risen to 59%. If the 5.4 million citizens of Scotland vote to leave the United Kingdom it undoes a political union that can be traced back to 1707. 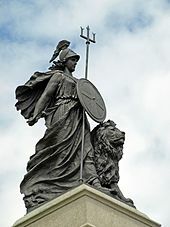 It also tears at the cohesion of the rest of the historical arrangement between England, Northern Ireland and Wales. The new First Minister for Scotland Nicola Sturgeon, has already taken the first steps to chart a new course for Scotland. It will not be easy, as the economic interdependence between the Scots and the rest of the kingdom, has evolved to become a tight relationship over three centuries. The First Minister wants to keep Scotland a part of the European Union. Although this situation may well strengthen the hand of the negotiators representing the EU in Brussels, it is most likely a nonstarter. The nation of Spain is facing a similar situation with the citizenry of Catalonia. If Scotland becomes independent and is permitted to stay or apply to become part of the EU, it sets a precedent for Catalonia. Therefore, Spain is likely to veto this option. The Scottish situation has already complicated further, the relationship between the UK and the rest of the European Union. The economic state of affairs is far more complex. If one does not include gas and oil, near two thirds of the exports of Scotland worth £76 billion pounds or $99 billion USD (United States Dollar) are sold to the rest of the UK. Prime Minister May appears to have broke with the industrial strategy of the previous government. She already stated last month, that any further foreign takeovers of British companies should be carefully scrutinized, to see if it will be in the best interest of the country. May is also resurrecting the idea of an industrial policy, some 30 years after former Prime Minister Margaret Thatcher had abandoned it. The current head of the Conservatives is concerned about the long term productivity growth of British industry. The objective will be to focus on innovation and technology, especially in those sectors of the economy that will give the United Kingdom a competitive advantage. The uncertainty over Brexit has caused a slowdown in a number of industries across the nation. All three sectors of construction including housing, commercial and civil engineering have experienced a drop last month. It is the largest plunge since the financial crisis of 2009, when the country was last in recession. 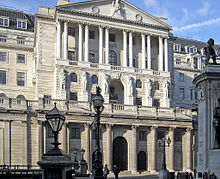 The Bank of England—the central bank of the United Kingdom and the model on which most modern central banks have been based. The Bank of England decided given investor anxiety over Brexit and the impact it is having on the economy, to cut interest rates for the first time since 2009. The benchmark was reduced from 0.5% to 0.25%. It is another unprecedented low rate for the central bank, that has been in business for 322 years. In further action, the bank decided to expand the asset purchase program by £60 billion, the equivalent of $78.16 billion USD. A more troubling monetary sign, was the decision to follow the European Central Bank, and begin buying corporate bonds. The first round will begin at £10 billion ($13.03 billion USD). Bank of England governor Mark Carney, has determined that more monetary easing had become necessary, to prevent the country from slipping into recession. He had already warned that the UK would likely experience more unemployment, as a result of the vote to leave the EU. He has also told the nation to expect wages and housing prices to fall as well. Leaders of member states of the European Union in 2007. The UK entered the European Economic Community in 1973. In a referendum held in 1975, 67% of voters voted to remain in the EEC, but 51.9% voted to leave the EU in 2016. One result of these financial steps is to put the British pound under even more pressure, which has fallen substantially in valuation since the Brexit vote. Pound sterling is now down to $1.2986 relative to the American dollar. The fall in the value of the currency has already resulted in the displacement of the country as the 5th ranking nation according to GDP (Gross Domestic Product) to the 6th slot. France has once again surpassed the United Kingdom in economic size. In related news, the yields on 10 year government bonds have now slipped below 0.6% for the first time in history. Prime Minister May is coming under further pressure to enact a stimulus package to counter the economic headwinds that are now facing the nation. SNP leader and First Minister Nicola Sturgeon, is among those who are demanding the government come forward with more spending. Of course if this does come to pass, the goal of moving the country to a balanced budget that was championed by the previous administration, will need to be put aside. All these events have occurred even before the Prime Minister moves to invoke Article 50. This would be the step necessary, to begin the formal process of a British withdrawal from the European Union. The procedure could take up to two years. It is then that the long term impact on trade, immigration, business and financial regulations, will really begin to be felt. 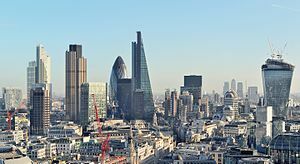 The unique role of London as the financial capital of Europe, will be somewhat damaged. The city has been a gateway for many businesses with contacts in the European Union. This is especially true in the case of Canada and the United States. It is also quite evident with former British colonies like Hong Kong and Singapore. It will be difficult for Prime Minister May to keep the EU markets as open as they are now, if the United Kingdom intends to limit the migration of people coming from the Continent. Immigration was one of the main issues, that caused the vote on Brexit to go in the direction that it did. There are many citizens in the United Kingdom that insist they are willing to take an economic hit, in order to regain control over their domestic borders and destiny. Hopefully this is true, because in the short term that may well be the reality, that will be facing the country in the difficult negotiations ahead. One must also not discount that the Brexit vote itself, may well lead to the dissolution of the United Kingdom as it is presently constituted.